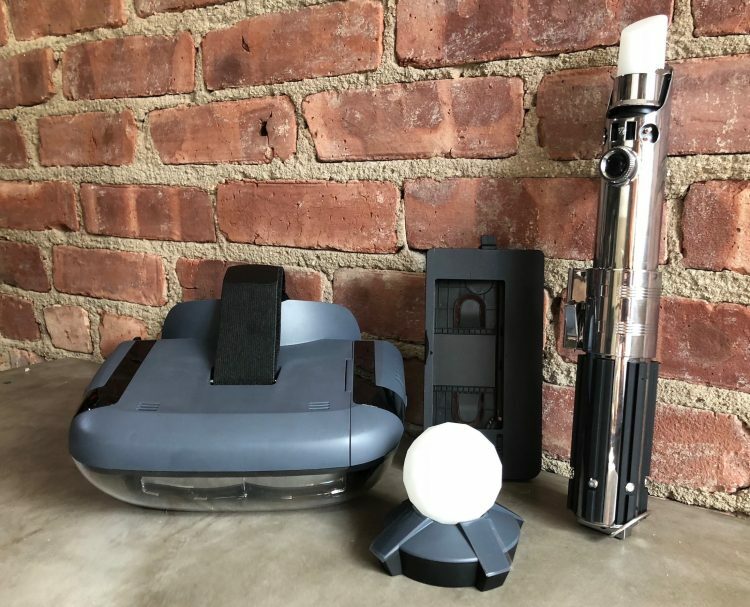 Lenovo’s Star Wars: Jedi Challenges is arguably the most exciting use of augmented reality we’ve seen to date. To that effect, for anyone who has ever wanted to experience the feeling of what it’s like to wield a lightsaber (and that’s most of us) then this is the closest you’ll probably ever get to that experience. But sheesh – it turns out that wielding a lightsaber is a total workout! Who knew? Setting up the Star Wars: Jedi Challenges system was easy on iPhone. The app automatically recognized that we were using an iPhone and walked us through the step by step instructions which included pairing the system via bluetooth. Currently the system is compatible with a slew of popular models which includes the iPhone 8 Plus, iPhone 8, iPhone 7 Plus, iPhone 7, iPhone 6s Plus, iPhone 6s, iPhone 6 Plus, iPhone 6, Samsung Galaxy S8, Galaxy S7 edge, Galaxy S7, Google Pixel XL, Google Pixel, Moto Z² Force Edition, LG G6 and Lenovo says that more compatible models are on the way. 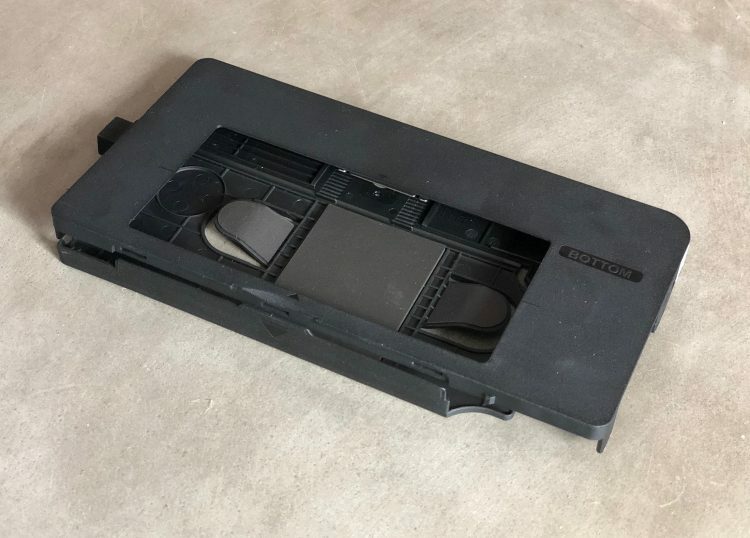 This large range of compatible phones is made possible thanks to the included phone tray which is able to adjust itself to different sized phones. Three short USB cables are also included in the box to connect your phone to the headset (for Micro-USB, Lightning, and USB-C phones). The headset which Lenovo has named the “Mirage AR headset” weighs about a pound and provides a very comfortable secure fit with cushioned pads. So you’ll be able to play for a while comfortably. Your phone is used essentially as the brain of the system and gets slotted into the headset with the phone tray. In addition to visuals, your phone also serves as the system’s speakers. A tracking beacon is included as well, but the system also relies on your phone’s sensors. 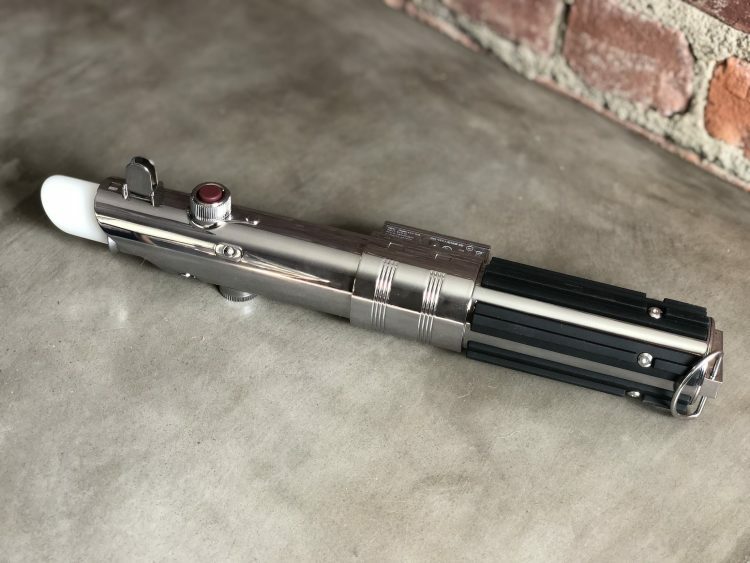 The included Lightsaber controller is very detailed and well made – and that further helps make you feel like you’re truly wielding a “real” Lightsaber. Let’s be clear, this is an AR experience – not a VR experience. That means that you’re essentially bringing the game into the world around you. So if you end up tripping over the couch, well that’s your own fault. Fortunately, the headset is designed in a parent-friendly way which lets parents see what their kids are playing – just from viewing the outside of the headset. Thanks to Star Wars: Jedi Challenges, you can finally wield a lightsaber and its awesome. Star Wars: Jedi Challenges offers 3 types of gameplay – 1. Lightsaber battles where you get to physically fight off villains, 2. Holochess which is more of a concentration and strategy game and 3. Strategic combat – a pure strategy game where you can recreate battles from the Star Wars saga. I’ve never been one much for strategy games, but even Holochess is fun to play. And like I mentioned previously, the Lightsaber experience is probably the closest experience to actually wielding a real lightsaber you can get. That said, tracking can be a bit off sometime – specifically, the lightsaber sometimes drifts, but this isn’t a deal breaker, and we’re hoping that future updates will address this issue. The design of the game is essentially a replica of the holographic style you’re used to seeing in the Star Wars films, which is a perfect fit for AR. That said, it will be interesting to see if / how Disney and Lenovo expand the system’s games to other Disney franchises. Overall, both kids and adults will really enjoy the gameplay. And we’re pretty confident that Disney and Lenovo will keep adding more content and possibly more accessories related to other franchises. After all, with all of the franchises that Disney owns, the possibilities are practically endless. For instance, Disney could easily add a magic wand accessory with some Disney Princess inspired games. A girl can dream, right? Overall, we have been having a blast (pun intended) while playing Star Wars: Jedi Challenges, and you will too. It sure beats wielding just any old plastic lightsaber. The tracking isn’t always spot on, but it’s forgive-able. We’d also like to see a multi-player option which we believe is on its way. In any case, we’re sure that there is more to come from Lenovo and Disney, and that this is just the beginning. Priced at $199, Lenovo’s Star Wars: Jedi Challenges is worth it, and we wouldn’t be surprised if it becomes a holiday best seller.